The glacier trip begins with a scenic forty- minute flightseeing trip from Delta Junction along the north face of the Alaska Range to a gravel airstrip above Trident glacier. 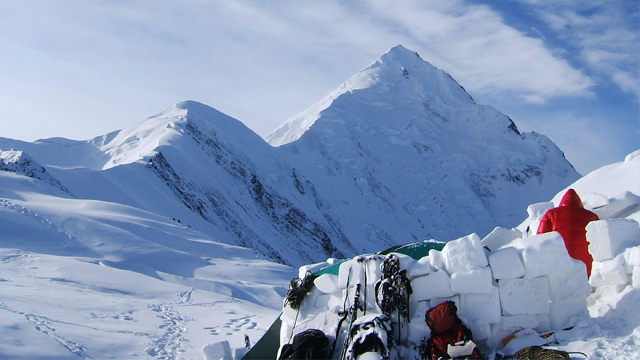 The flight offers a close-up view of several rugged peaks and glaciers. Your glacier adventure will be based out of a gravel air strip on a kame terrace of Trident Glacier, at an altitude of 4,000 feet (1,219 m). Twenty mile long Trident Glacier originates at the base of 13,800 foot (4,206 m) Mount Hayes and winds down through the Alaska Range forking at the base of Mount Moffit. Mount Moffit is 13,000 feet (3,962 m), which is only 3 miles (4.8 km) from our airstrip. 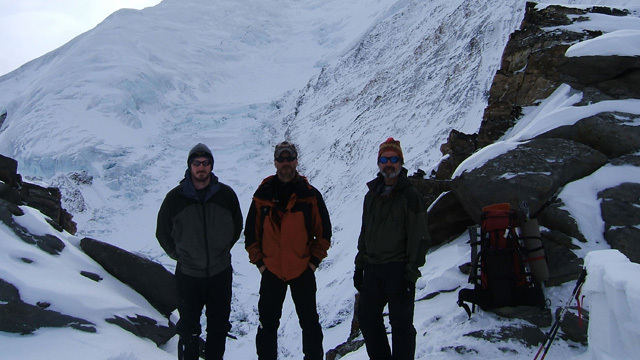 We run the most astounding Alaska glacier tours in this region. Please call our Alaska air service to book your next Alaska glacier trip. The rugged beauty and massiveness of Mt. Hayes & Mt. Moffit compares with McKinley. The abundance of Alaska wildlife (Dall sheep, grizzly bears, caribou, wolves, wolverines, marmots, etc) also compares with that of Denali National Park. The uniqueness of this Alaska adventure is that there are no roads and you will see no other people. 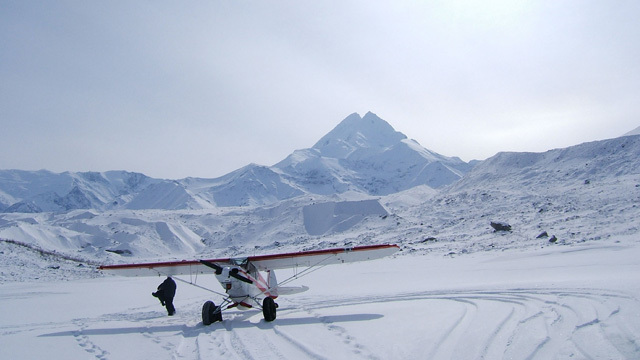 Our Alaska air service has been providing clients with memorable Alaska flightseeing tours for three generations. Please contact us if you're interested in viewing Alaska wildlife from the air. 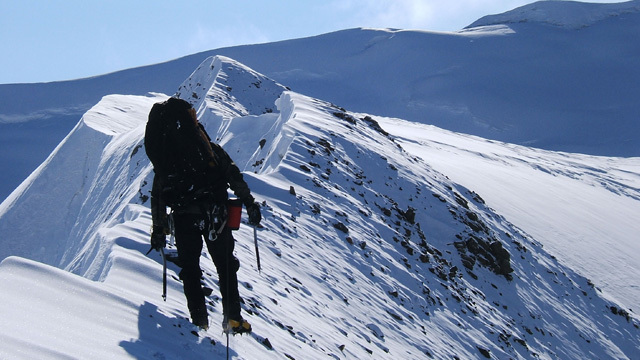 The area offers several levels of Alaska hiking or Alaska climbing. For those who don't want to go on long hikes, short hikes from the kame terrace offer magnificent views of Mount Moffit, Trident Glacier, and a variety of Alaska wildlife. 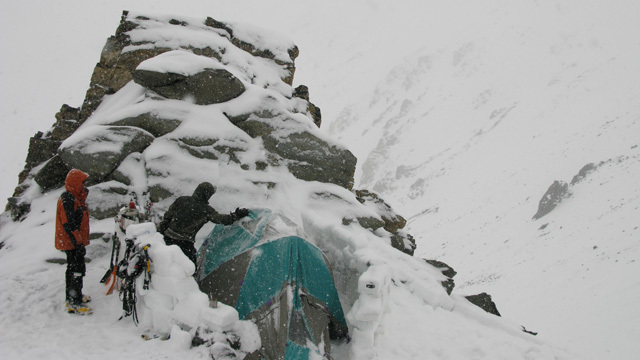 For the more adventurous traveler, a one-mile hike would provide accessibility to Trident Glacier. Our Alaska air service will make sure you get in and out safely. Please give us a call if you wish to go on a true Alaska wilderness tour.